SNOW M10 (Game Update 0.10.0) is live, and just in time for the winter holidays! We have worked day and night since the beginning of November to get this update out in time for the holidays, and bring some great new features to the world of SNOW. Most importantly, we have also launched M10 on PS4, bringing a much needed update to our community of PlayStation 4 players who haven't seen a Game Update since before the summer. The biggest change to SNOW in M10 is the way you will access mountains. 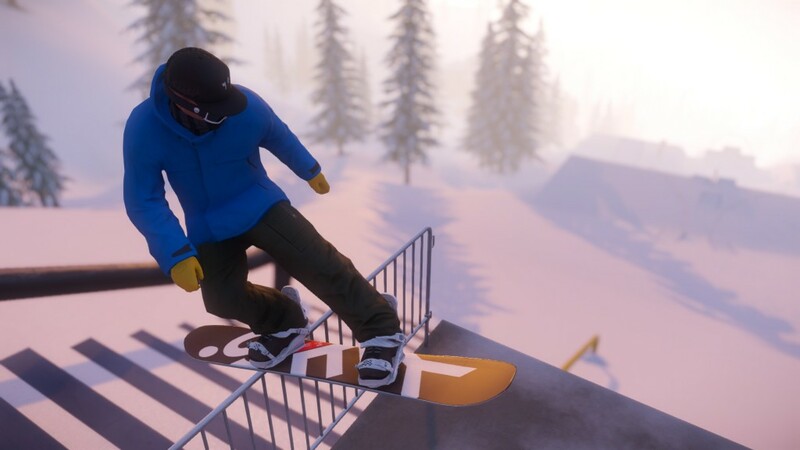 As explained in our preview blog post, we have moved away from selling new mountains and instead added a Ski Pass system that lets you access mountains for a much cheaper price. Ski Passes work like this: each mountain requires a Ski Pass to access the mountain and all of its content (events, rewards, etc). Ski Passes come in 1 Day, 7 Day, and 28 Day options and can be purchased with Credits or earned as rewards through Swag Bags. Also, if you complete the Tutorial, you will get a 3 Day Sialia Ski Pass for free, letting you access the entire mountain and all the events for that time period. If you want access to all mountains for a much longer period of time, consider buying one of the DLC options that will soon be available (currently only for PC). 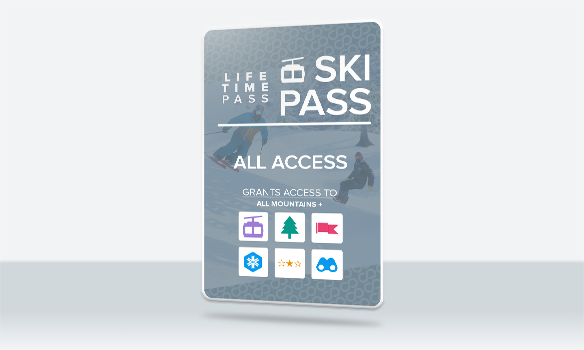 The DLC contains All Access Ski Passes which grant access to all mountains for 3 months, 6 months, and 12 months, for a huge discount. There is also the option to buy the Lifetime Pass DLC which gives you access to all current and future mountains and feature unlocks forever. Once you have purchased a Ski Pass you can activate it and start riding immediately. You’ll see the timer in the Mountain Info menu and be alerted when your Ski Pass is about to expire. The only mountain that does not require a Ski Pass is Tyro Valley, which will always be free to play. 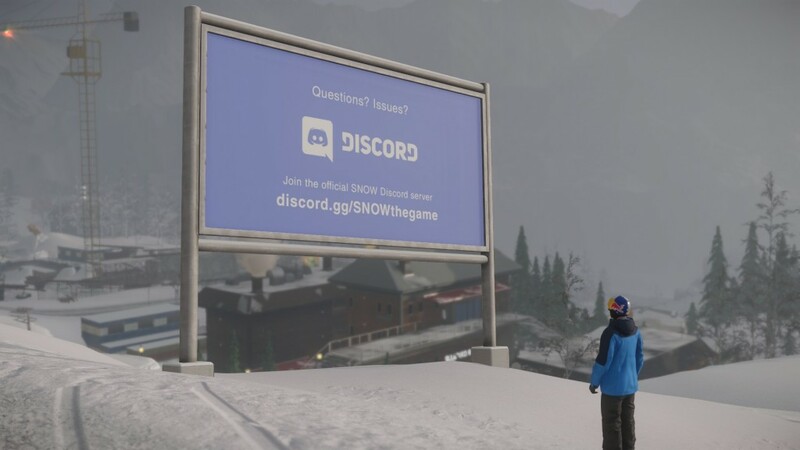 There will also be a Weekly Mountain on rotation that does not require a ski pass to visit, but only lets you explore the mountain and not access the events and other mountain content. 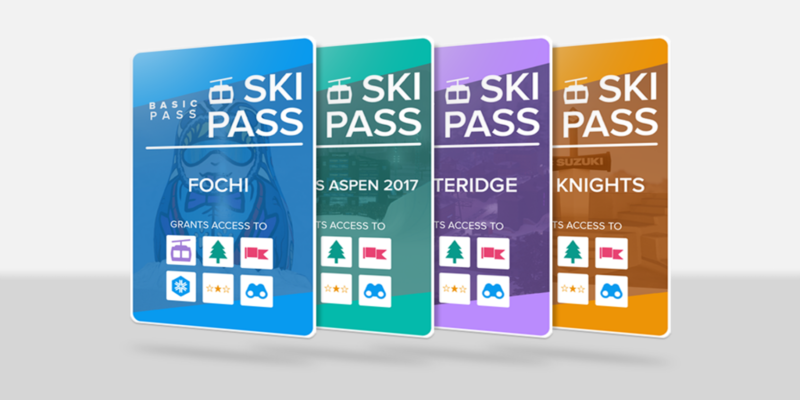 If you already purchased a mountain (like Whiteridge or X Games), you will own that mountain still and never require a Ski Pass to play it. Also, as a thank you to our earliest supporters all Starter, Tester, and Founder Backers will receive a Lifetime All Access Pass, granting all current and future mountains and feature unlocks for free forever. Similarly, all PS4 players will receive a 6 month All Access Pass. If you think you should have access to a mountain that you don't currently have access to, please email us bugs@poppermost.se so we can help resolve the issue. SNOW M10 sees a new levelling and reward system. Regular levels are now from 0-20, and new Pro Levels start from 20 and are unlimited. When you level up you will now receive a Swag Bag, which includes different rare items like Credits, clothing, equipment, and tools. 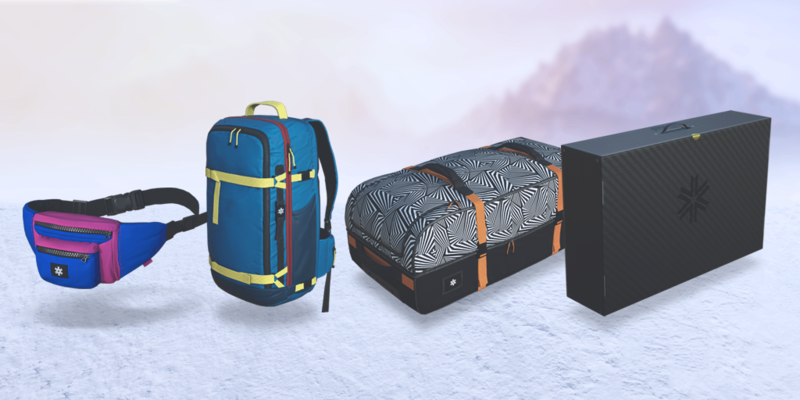 There are 13 different Swag Bags that you can receive for regular levels, and 16 Swag Bags for Pro Levels. Swag Bags have different rarities, with the rarer Swag Bags containing more exclusive items. Sightseeing locations are scattered across each mountain and are another activity to encourage exploration. Each mountain has at least 3 locations and can be activated by riding to the location and holding down the button press. Activating the Sightseeing will trigger a brief cut scene showing off the area and even possibly a secret that you might have missed. Right now there is no progression for Sightseeing, but in the next update there will be a menu where you can see all Sightseeing locations and see which ones you’re still missing. Backcountry Drop Points now require riding to a specific location to unlock. Like with Sightseeing, you will ride up to the point and then hold down the specific button press to unlock the Drop Point. Doing so will trigger a cut scene showing off the area a bit. We hope this makes unlocking Backcountry Drop Points more deliberate and rewarding. You can now come to a complete stop and not have to continue holding down a button to stay stopped. While stopped you can slowly rotate if you need to line up a jump or navigate around an obstacle. Tired of skiing and snowboarding? Using the quick select menu you can now take off your planks and board and walk around. Hopefully this gives you more freedom to get to know the mountain better. This is the first pass of the feature so there are some improvements necessary. Unfortunately walking is not currently available in multiplayer, but we hope to fix that in the near future. Ski Lifts can now be used to go back up the mountain. Simply ski up to a Ski Lift and hold down the corresponding button press to jump on! While on the Ski Lift you can look around, skip to the end of the ride, and even jump off at any time. Like with walking, Ski Lifts do not work in multiplayer, but we hope to have this working in future updates so you can ride the lifts with your friends! We’ve made some improvements to Events to make them more exciting and hopefully more enjoyable. Before the Event starts, you will now see a preview of the course. After that you will find yourself at a start gate, ready to push off. We’ve removed the timer countdown and instead now let you start when you want by pressing the push button. This should also eliminate any issues linked to pushing off in the correct direction. Once you’ve completed the Event, you will see a short cut scene of you and other competitors on the podium. We plan to continue to polish this entire sequence to make sure Events feel special. Ragdolls in multiplayer are back! Now you can finally watch your best friend tumble down a hill, fling themselves off a cliff, or bounce off trees. In addition to that, we’ve removed player collision so that player can no longer crash into each other. Finally, we’ve also added a Chat Log to multiplayer, so you can communicate more easily with other players on the server. With the addition of Ski Passes, Tyro Valley will now be the default multiplayer mountain in SNOW M10. We plan to include the Weekly Rotation mountain in this in the future, but for now we hope you enjoy exploring Tyro with your friends online.